Due to its geographical position, its historical past, its diversity of the human, cultural and natural components of Errachidia, are all assets that give it a tourist vocation of first choice to relax. Formerly the historic crossroads between imperial cities and the great south of black Africa. Known for its culture, the city of Errachidia which refers to the architectural and urban heritage of the past. This heritage is made up of historical monuments, on the one hand, which are the remains of Sijilmassa, the Mausoleum my ali Cherif, and on the other hand, the ksours (Ksar El Fida, ksar ouled Abdelhalim, Ksar Abouaam, Maadid, Ksar Meski). 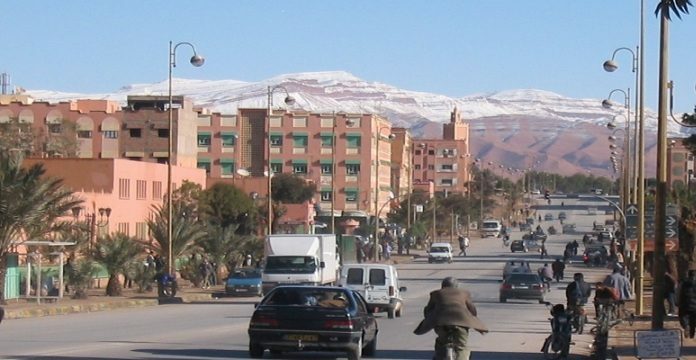 For the amateurs of desert and oasis tourism, the city of Errachidia sends you back to the discovery of the sand dunes of Merzouga, the picturesque village, the Tifounacine site, the high valley of Gheris, the palm grove of Goulmima, the palm plantation of Ziz, that of Jorf and Tourong, the blue spring of Meski, this city is also full of peaks reaching more than 3200 m.
This is the case with Imilchil and a variety of caves (Imilchil Akhiam caves, Titaouine caves with zaouia from sidi hamza, Ifrin sidi lhaouari caves with Ifri Nouadou caves, Bouazmou caves with Ifri N’Taklaline Mellaab caves). And its southern part is a paradise for international producers who will find spaces that allow the creator to mount productions that will remain intelligible in the memories of moviegoers.